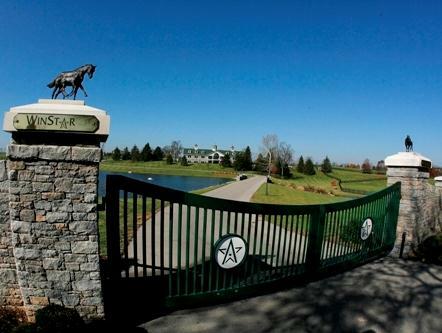 WinStar Farm stallion Pioneerof the Nile died suddenly today, the farm announced. The 13-year-old son of Empire Maker—Star of Goshen, by Lord at War (ARG), bred a mare this morning and started acting uncomfortable once he was back in his stall. He was en route to the clinic when he died. Pioneerof the Nile filly gets first stakes win in Rags to Riches S.
Pioneerof the Nile's Dontmesswithjoanne breaks through in Red Camelia S.
Pioneerof the Nile filly wins three-way photo in Swingtime S.
Cash Control gets the money in the Grade 3 Cardinal H.
Cash Control gets the money in Fair Grounds Daisy Devine S.
The final crowning achievement on American Pharoah’s historic racing career came on Saturday evening when the son of Pioneerof the Nile was honored with Eclipse Awards for 2015 Horse of the Year and 3-year-old Male. Pioneerof the Nile filly continues hot streak in Tiffany Lass S.
Courtier sweeps to victory in $200,000 Centaur S.
Pioneerof the Nile filly cruises by six in $100,000 Summer Colony S.
American Pharoah brilliant in Grade 2 Rebel S.
Jojo Warrior shows her heels in the Grade 3 Torrey Pines S.